The Mother’s Day Classic is an annual fun run and walk raising funds and awareness for breast cancer research. All proceeds from the MDC Foundation Ltd are donated to the National Breast Cancer Foundation, a not-for-profit organisation that supports research into breast cancer prevention and treatment. Since 1998 the Mother’s Day Classic has raised $30.4 million dollars. To donate to this wonderful cause, please click here. 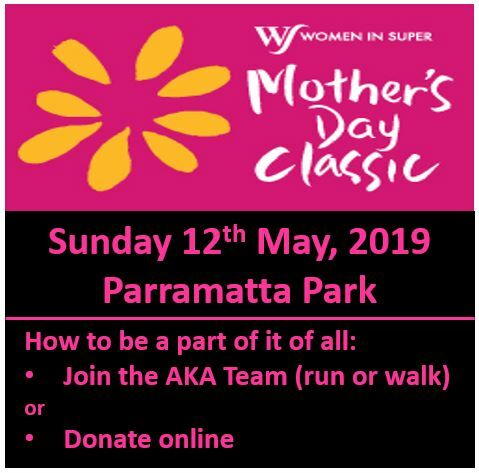 To register to run or walk as part of the AKA Team at Parramatta Park on 12/05/2019, please click here and be sure to join the “AKA-Australian Kfarsghab Association” team.